In the game, the evil wizard Zaks cast an evil spell on the Yolkfolk, and kidnaps Dizzy's girlfriend Daisy, and it's up to Dizzy to undo Zaks' doings and rescue Daisy from the castle in the clouds. 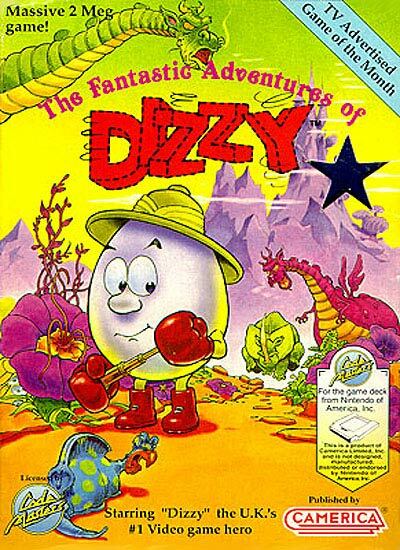 The game is hard to qualify in a genre: while it seems at first a platform game, Dizzy is vulnerable to all enemies while unable to eliminate them, and puzzles are completed by bringing an object to a location (in the same fashion as Gods and adventure games), and also has to capture all 250 stars scattered in the game. It also has several arcade minigames based on older games in the series (like Bubble Dizzy).